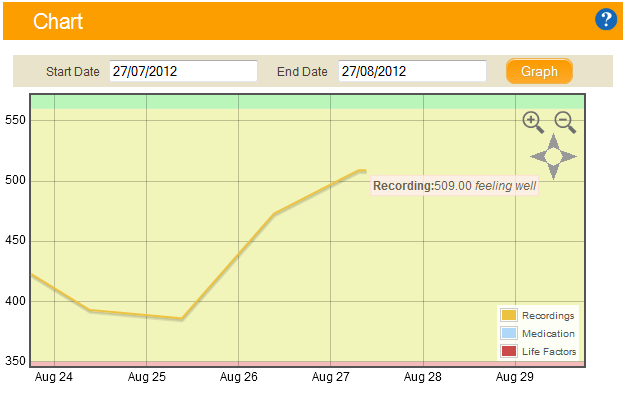 The peak flow diary is an easy to use system for recording your asthma. There are three simple step to start using the website. The first step is to record your peak flow reading, using the form shown below. The form is simple just time, date and reading. Your peak flow readings are then plotted on the graph. After entering your peak flow reading. The system will perform analysis to produce a message to help you manager your asthma.